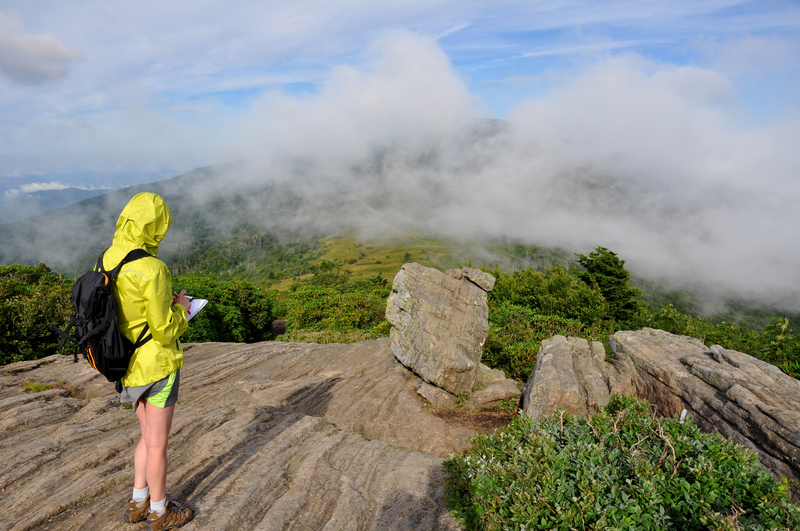 Taking notes atop Jane Bald looking back toward Roan Mountain. I’ve added a new page to my website that is called, simply, Hikes. Here I will post, at least monthly, one of the hikes that didn’t make it into my book, Hiking Tennessee or other hikes from around the Southeast. Or, visit my website at victorialogue.com and click on the Hikes button.